Conditions: Decent, with some wind blown sections creating some thin coverage in areas and some windblown pow stashes in others, some rocks were hit, some bushes were wacked. Firm and often rutted and choppy where it hadn’t collected and downright gnar cookies in other areas. Binding Adjustability: The straps are on tool less bolts that are simple to remove and put back in place. The heelcups aren’t the quickest to get adjusted, but it’s not hard either. One bolt on each side to pull out, shift everything into the position you need, and bolt back in. The fit was good enough to satisfy on my 8’s in the medium and the width fit well enough with the bulkier Amightys. Straps: The ladders and adjusters on the straps are a more pliable plastic than is usual and have a lot of built in precurve. It really lets the straps open up and get into the position that fits best on your boot. The toe strap grabs the toe great with a lot of security. The ankle straps got a complete redesign for 2019 and they are fantastic. They are of the full rubber material style and a double asym shape offering more supportive padding on the upper lateral side and lower medial side of the strap. Then from the meat of the strap towards the center and other end there is a pliable rubber webbing. I’ve pretty much always been a fan of double asym straps and with the addition of that webbing in the center these straps just sit so nicely in the crux of your ankle. No pressure, just enough support, and just enough flexibility to never be in the way. I would put these straps on every single binding I own if I could. Ratchets: Smooth crank, strong return springs, and smooth release. Highbacks: This is the more solid and responsive of the two bindings and a lot of that is in the highback. The zero lean adjustment is a true zero lean. There is a little bit of cup to it, just enough to help keep some response towards the contact points. It’s an unrestricted but responsive feel. Binding Flex: A little above a mid flex with a little more focus on movement than all out response or power. Ride: The X-Frames rubber gasket and the use of the mini disc does a really good job of keeping all the effort you put into the binding moving towards the corners. They help build a great balance of response and playability. The other major benefit I noticed is they just ride smooth. It’s the type of binding I would want to be in for long days. 1.5 degrees of canting is perfect. Enough to be canted, but not so much that is ever feels intrusive. Rider in Mind: All mountain ride everywhere and everything. Personal Thoughts: These were pretty good bindings last year, and the new strap just took them to a whole new level. Solidifying them as my personal number 2 all mountain binding pick. The ankle straps are probably my favorites in the entire industry, probably ever. That combined with the well tuned X-Frame base and mini-disc make these a serious contender and a binding I can recommend to pretty much anyone. Is it worth going full price on these v getting some of the last years ones on clearance? Is the new strap that much better? I’ve heard that the medium binding is a bit on the large size, more suited for 10-11 than size 9. I wear a size 9 k2 Maysis, would you say go medium or small? Either buy from a place with a great return policy if it doesn’t fit, or take them with you to see how they fit in store. Also, great reviews! I bought the SPAM under your sites advice. Hi! Would these go well with a yes greats or capita mercury? Or would I be better with stratas or malavitas? Thanks! Every binding you mentioned would be a solid pairing to those two boards. Awesome thanks! Do you know just from experience or from trying to pair bindings with boards that have similar flex? 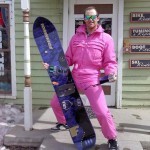 I’m looking to buy these bindings for this season. I wear a size 10.5 boot and usually use large bindings. Should I go with the m/l or the l/xl bindings for these? I’m pairing it with a 158cm coda rocker. I sometimes wear a size 11 boot. Well figure out your boot size first. Poor Paint Finish and Durability. The paint started chipping/flaking off where the heal cup touches my boot after using these once. Its also coming off on the ratchets just from tightening the straps. I emailed Arbor about this twice over the course for three weeks and still haven’t heard back. Due to the poor quality and lack of customer service I cant say I’ll be getting their products in the future. I so wanted to leave these a good review because the performance is great but a binding at this price point should have a durable paint finish that doesn’t flake off after one use. Man you wouldn’t have survived the 90’s in snowboarding. Caleb – How many places are you gonna leave the same review? That is some next level whining. If your screws stripped, sure I get it. You couldn’t find the right size screw driver and the screws aren’t a high enough quality to handle it. Sure, whine about that. But hitting 3+ sites to whine about paint chipping? That’s some next level petty. Man up.